Can I come if I don't have a horse? The Mane Priority is open to ALL horse mad teens, regardless of whether you have your own pony or not. Six people will be chosen to bring their own ponies along, but the rest of us won't just be sitting around and watching! Everyone will get the chance to take part in discussions, games, and other fun activities. You'll learn just as much whether you have a horse there or not. If you would like to be considered to bring your pony to the event, please fill out the registration form and make sure you follow the instructions carefully. Can my mum/dad/aunty/etc stay to watch? It costs $25 per teen (regardless of whether you're chosen to bring a pony or not). ​It's important to us that this event is accessible to everyone. If your family is struggling to pay the $25 for you to attend, please get in touch with us directly via email or social media. We'll be posting on Insta & FB regularly with more details leading up to the day, so keep an eye out! 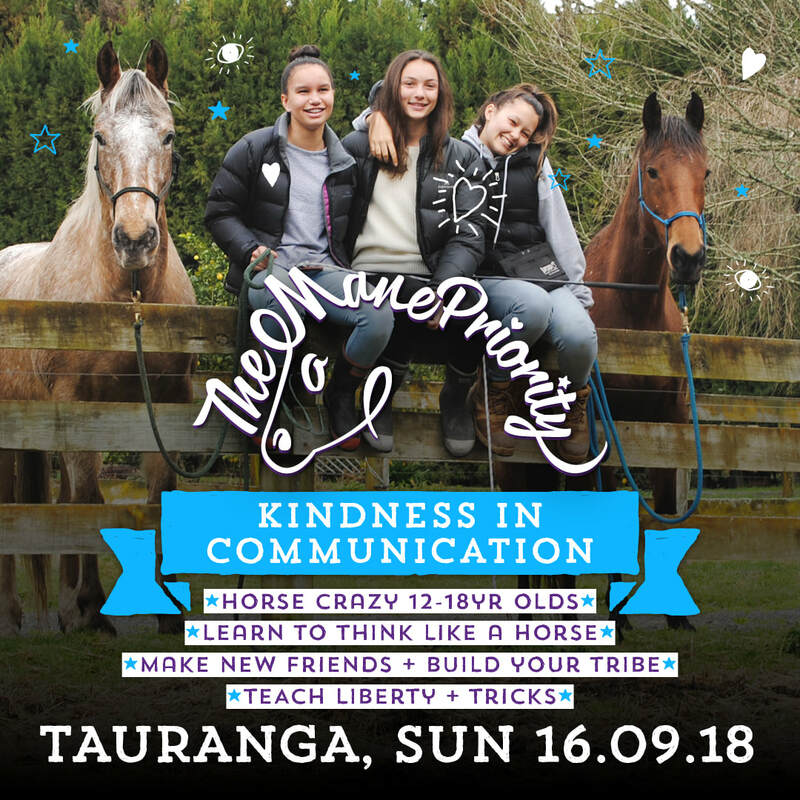 We can say that with Ellie & Bex as your coaches you are guaranteed to learn heaps about horsemanship including horse-human communication, positive reinforcement and clicker training, and how to get started training liberty and tricks with your pony. There'll also be lots of amazing prizes from our incredible sponsors! ​* THIS EVENT HAS BEEN AND GONE! Don't make us do the math! Make sure you follow @positively_together and @wild_thyme_horsemanship ! PLEASE NOTE: the event is now FULL. If you submit this form you will be added to the waitlist and we will contact you if a spot opens up. Please do NOT deposit any funds into the account if you have registered for the waitlist. We look forward to seeing you there! Major announcements will be emailed to you. For ongoing updates, click "going" on the FB event page and follow our social media accounts.